That Yoga is full or perfect which enables us to fulfil entirely God's purpose in us in this universe. 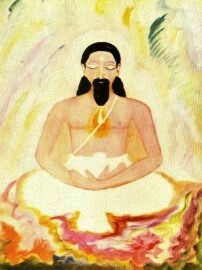 All Yoga which takes the soul entirely out of world-existence, is a high but narrow specialisation of divine Tapasya. God's purpose in us is that we should fulfil His divine being in world-consciousness under the conditions of the Lila. With regard to the universe God manifests Himself triply, in the individual, in the universe, in that which transcends the universe. In order to fulfil God in the individual, we must exceed the individual. The removal of limited ego and the possession of cosmic consciousness is the first aim of our Sadhana. In order to fulfil God in the cosmos, individually, we must transcend the universe. The ascension into transcendent consciousness is the second aim of our sadhana.